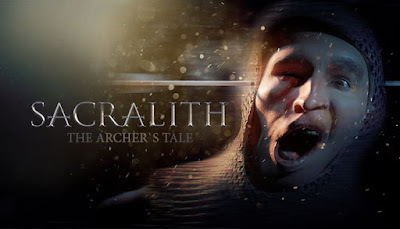 SACRALITH : The Archers Tale is developed and published by Odd Meter. It was released in 17 May, 2018. The game brings you to a quest for the magic stone that grants power over Dragons. Dozens of fights with hordes of enemies will be thrown at you your loyal allies along the way. The game world consist of various different locations with special firing spots. Move swiftly along these spots, choose the right view and angle for attack, protect your companions and defeat the enemy. \u2022 Breathtaking immersive storyline that will carry you to the world of SACRALITH. \u2022 Lifelike bow shooting! The only thing we can’t reproduce is the weight of a bow in your hand. However, feel free to tie a stone to your gamepad! \u2022 Storming battles and instant travel along the map. Don’t stand still, move forward, your allies are in danger and you’re the only one in charge of their lives! \u2022 Detailed graphics and stunning visual effects, including facial MoCap: all movements and articulation have been recorded by real actors. \u2022 Wide range of enemies. Some of them will die from the first arrow. Others will require all your wit and effort!